Take off! These books about flight complement the Grade 6 Science & Technology unit. 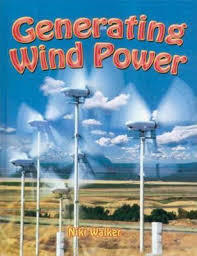 The first of the nonfiction titles us Generating Wind Power, by Niki Walker. A pleasure to read and well laid out with photos and text boxes, it covers the gamut: the definition of energy, how wind is harnessed, why wind is a viable alternative to fossil fuel, how wind turbines work, wind farms, the history of harnessing wind (windmills), its drawbacks, and the future of wind power. Includes a timeline and glossary. In The Wright Brothers: A Flying Start, by Elizabeth MacLeod, well-chosen historical details beautifully animate the Wright Brothers’ story; their close relationship, lack of high school education, money-making schemes growing up. One such business included bicycle repair, resulting in a redesign of the bicycle of the time—small back wheel/large front wheel. (Their same-size tires meant a much easier ride). 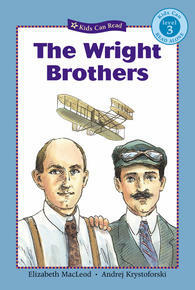 The reader learns the science of flight through the brothers’ pursuit, beginning with gliders. The scientific method is made personal through their failures and unrelenting perseverance. Small historical photos are smattered throughout, i.e. picture of the brothers’ first Penaud toy helicopter made from cork, bamboo, paper and a rubber band. 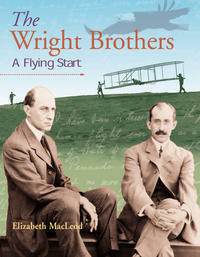 A brief overview of the same story is covered in The Wright Brothers, a levelled reader, also by Elizabeth MacLeod. An average of five sentences per page, with accompanying hand-drawn illustrations by Andrej Krystoforski, are appropriate for struggling readers or ESL students. 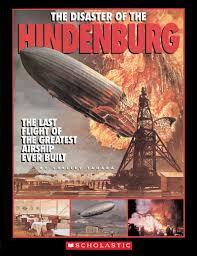 The Disaster of the Hindenburg, by Shelley Tanaka, is told from the point of view of real-life characters aboard the zeppelin, including 16-year old passenger Irene Doehner, who died in the explosion. In 1937, destined for New York, the Hindenburg was more than 3 1/2 times the length of today’s passenger jets, and as high as a 15-story building. It took three days to cross the ocean and had a dining room, (sealed!) smoking room and 25 cabins. Its German design was heralded as the foremost way of luxury travel. Facts interwoven into the story include precautions the staff took to avoid sparks (i.e. confiscating a child’s toy rubbed along the floor), the layout and construction of the zeppelin, how it worked technically, and the activities/experience of the passengers, including what they might have seen in the 32 second explosion that ended it all. Causal theories are also included. A great story, punctuated with illustrations, photos and a timeline of air (balloon) travel. 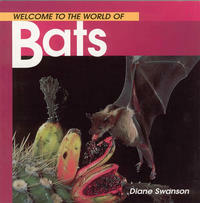 Whitecap’s "Welcome to the World" series includes Welcome to the World of Bats, by Diane Swanson, for the ESL or grade 3-4 reading level. The first and second chapters touch on how bats’ physical design aided flight, including their rubbery skin, short necks, quick digestion, short broad wings and fingered frames. Also in the series, by Swanson: Hummingbirds, Eagles and Owls. 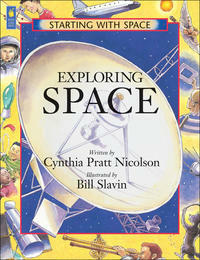 The second chapter of Exploring Space, by Cynthia Pratt Nicholson, illustrated by Bill Slavin, is applicable to flight, with a recount of the Icarus myth (his wax wings melted when flown too close to the sun). A few pages address the invention of rockets, how they work, and satellites, along with an experiment to construct a two-stage balloon rocket. 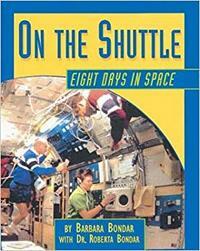 On the Shuttle, by Barbara Bondar, with Roberta Bondar, includes a diagram of a rocket ship, and technical information about how it blasts off and what keeps the shuttle from falling back to earth. The following titles are good language tie-ins. Although three are picture books, kids are never too old for a good story. 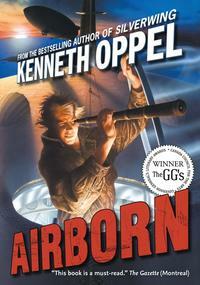 In Kenneth Oppel’s novel Airborn, a sailing airship is kept afloat in a dreamland setting, with a fictional mango-smelling gas called hydrium. The cabin boy, 15-year-old Matt, is escaping the sadness of his father's death by climbing masts and mending sails. He meets rich and brave Kate, who is obsessed with finding the cat-like flying creatures her grandfather documented in journals. A run-in with pirates, compounded by ship troubles, makes for a suspenseful climax as Matt tries to save the airship. 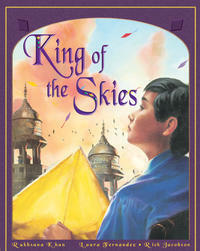 King of the Skies, by Rukhsana Khan, illustrated by Laura Fernandez and Rick Jacobson, is a first-person narrative picture book. Set during Basunt, the annual kite festival in Pakistan, a disabled boy and his sister fly kites made from bamboo and tissue paper. From his high vantage point, the boy sits in his wheelchair, cutting down other kites (particularly a bully’s) with his extra sharp twine. “I can’t walk and I can’t run. But I can fly,” he says. At the end of the day, he hears a girl crying in the streets below and, with one act of kindness, truly becomes king of the skies. A longer picture book version of the same story, King for a Day, also by Khan, illustrated by Christiane Kromer, makes for a good comparative text. 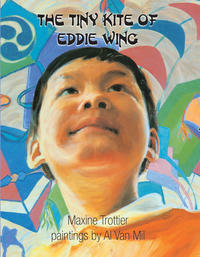 In The Tiny Kite of Eddie Wing, by Maxine Trottier and illustrated by Al Van Mil, Eddie can’t afford the materials to build a kite for the annual festival. He flies an invisible one instead. The other children laugh at first, but then begin to cheer for the kite they can almost see. Meanwhile, Old Chan sits and thinks of all the poems he never writes. He is in charge of deciding the winning criteria for the festival. Will it be the fastest? The one with the longest string? Although Eddie doesn’t win, Chan rewards him in a way Eddie never dreamed of. Bats are amazing creatures. Discover the secrets to their amazing flying skills and body make-up. 14 color photos.